I like de modern factor and the price is great for my kitchen counter top. It is very durable for heavy peoples. The sleek, barely-there lines of the Taronda barstool add instant posh to any pad. Its white PVC and chrome construction make it durable, Euro-chic and ready to entertain. Taronda's swivel seat adjusts from 23.8 to 32.3 inches for maximum comfort at counter or bar. Dimensions 25.6-34.3 in. H. x 16.1 in. 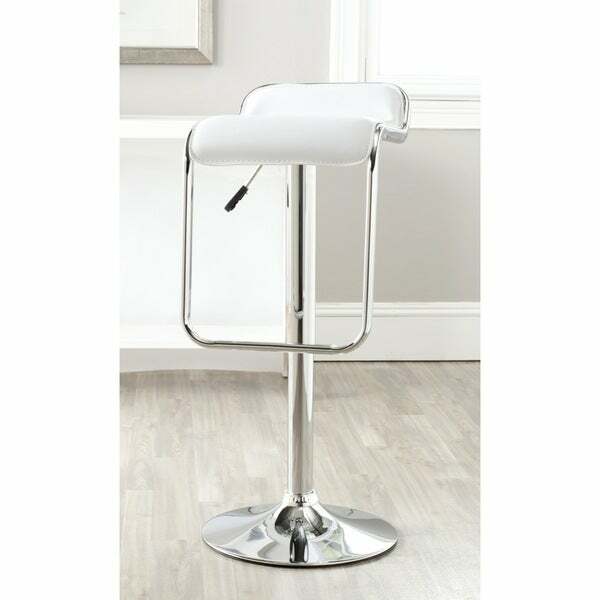 W. x 18.5 in D.
These bar stools received good reviews so we ordered them for our newly renovated modern kitchen. They ereceady to assemble but difficult to disassemble when we decided to return them. The seat is very small and when in the totally raised position they are tipsy. I guess you get what you pay for! They do look nice but if it's quality as well as looks that you want, these stools are not it. The return charge was over $ so this was a lose, lose situation for us. We had purchased four, returned three because we couldn't take one apart and paid the return postage. We made a bad choice and hope we prevent others from repeating our mistake. Great looking chairs and actually quite comfortable! 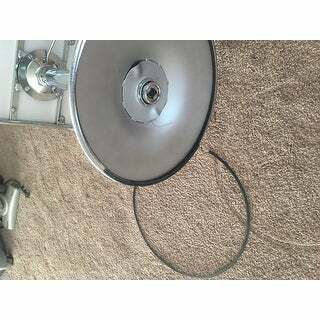 The only issue I've had is with the protective plastic ring breaking (as pictured). The material should be such a brittle plastic, maybe a softer or rubber ring. Other than that the chairs are great for a modern look. "What is the weight of the entire chair?" The shipping weight is approximately 23 lbs. "How heavy is the base? Is it very sturdy? I'd like to use this for my 4yr old to sit at the kitchen island for breakfast and I need the base to be heavy & sturdy so that it doesn't tip over." This chair should be sturdy for the child. The seat can also hold up to 280 pounds for adults. Safavieh 30-inch Emery Black/ Gold Bar Stool - 13.5" x 13.5" x 30"